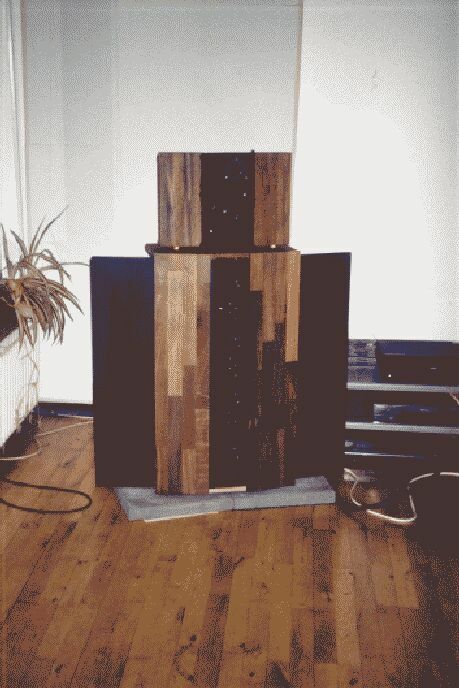 DIY speakers have been a hobby of mine since the early 70'ies. 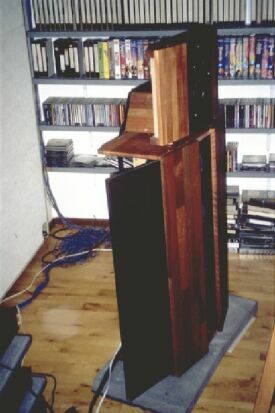 I have built a lot of speakers since then. My old "DELTA" dipole speakers are open baffles. 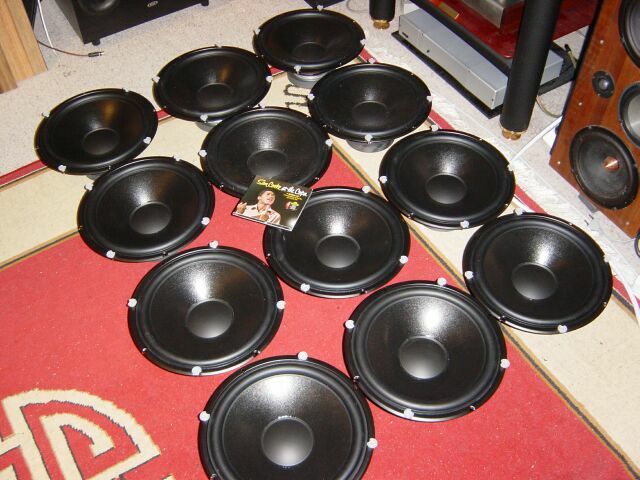 The woofer systems covers the range up to 250 Hz and each use 8 Peerless 8" drivers. 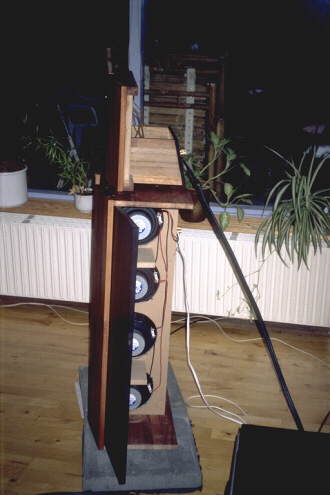 A DIY article about the construction of the DELTA baffles were published in the Danish HIGfidelity magazine in 2001. The whole article can be read in the Danish section of this site. (sorry - no translation). The mid on the picture is the ATC 3" dome, but these have since been substituted by the Focal 6W "Utopia" midrange drivers. The top range - from about 3.200 Hz - is a Hiquphone (in the picture). This driver has been replaced with the Monacor DT 252. I plan to find a better driver, and plan to buy the new Scan Speak Ring Radiator, when it becomes available. Air Motion Transformers have also been considered. 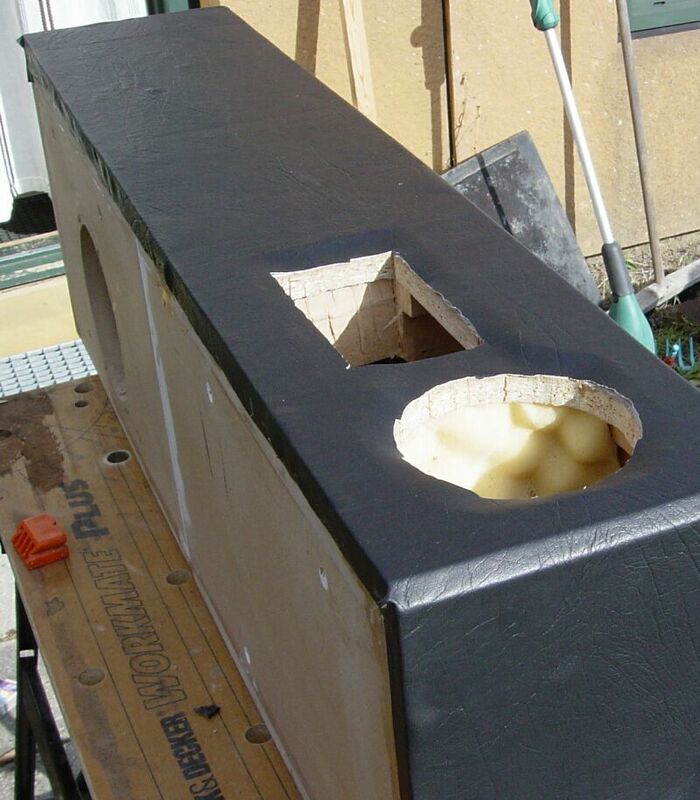 The folded baffle - topview. I've bought a set of the Greek Dynasonic PL-160 magnetostatics. 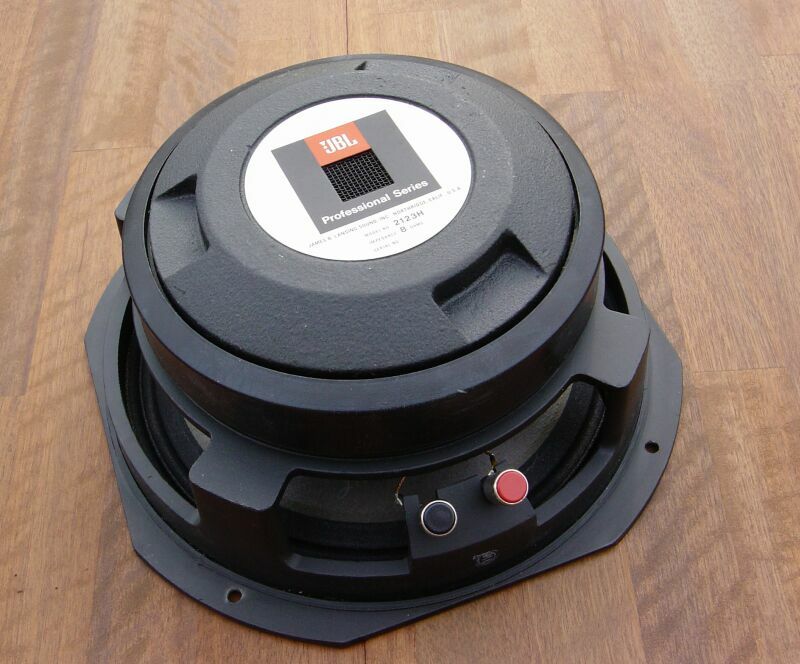 They call it a ribbon but actually the diaphragm is a 12 um foil with an alu voice coil. This is placed in a quite powerfull neodym magnetic field. Measurements shows a small peak around 2 kHz with a 100 dB/1W sens. XO should not be placed below 2kHz as it drops like a stone beneath this frequency. From 3 to 8 kHz it is ruler flat with a sensitivity around 97 dB at one meter/1 Watt (into 5 ohms with the two coils in parallel). A small drop and some irregularities can be detected around 8-12 kHz after witch the PL-160 comes back to level around the 97 dB. Measured at 30 degrees the average sensitivity drops to around 95 dB/1 W.
Soundquality is what you would expect from a typically high end magnetostatic/ribbon. A lot of air and resolution in the higher octaves and really a sense of rightness and being there. At the same time the reproduction is less physically - read "heavy". There is a sense of lightness around the reproduction much different from what you typically get from a good dome. Gated on axis (level not calibrated). My new JBL midrange drivers are really high efficiency and high resolution. I would never have thought about a 10" midrange if it had not been for the recommandations on several newsgroups. I got mine second-hand including very fine boxes made out of 1" birch particle board. A passive XO should have been the way to use them, but right now I'm trying out digital X-overs and plan to cut very steep with 48 dB/oct at 200 and 2.000 Hz. 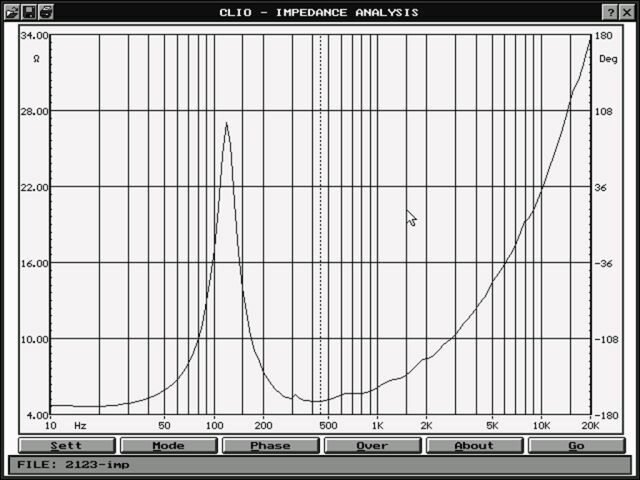 The gated frequency plot on the right is made with the PL-160 as comparison. 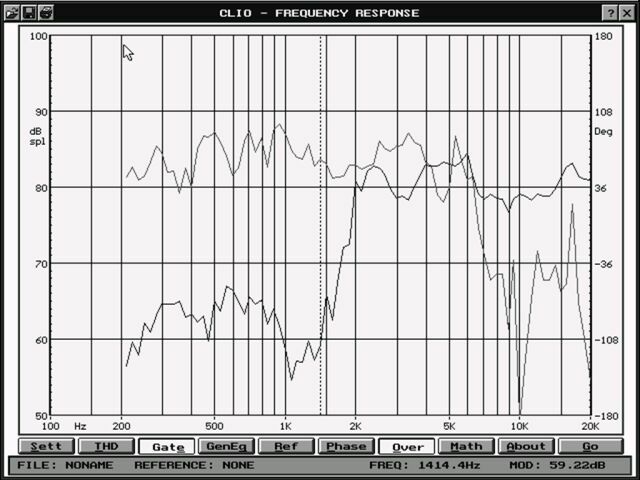 As it can be seen the sensitivity is higher than the PL-160 which I know is around 98 dB at 2.500 Hz. 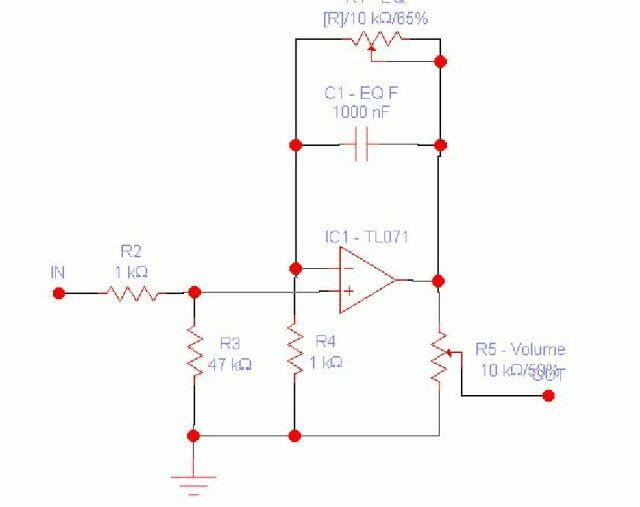 This project is a small full-range speaker implementing the new Danish Reen Ribbon (magnetostatic) for the range above 2 kHz. This unit is a prototype and the finished product should have been released in the beginning of 2003, but I do not think it will ever be realised. A pity, as this is a really fine unit. The little Focal 5V-4211 is working in a 4 liter cabinet tapering to a small damped slot on the back. 4 mm thick cork covers the front and top, with cut outs for the units. At first I placed a ScanSpeak 6,5" on the side of the box. This cover the bottom octaves. 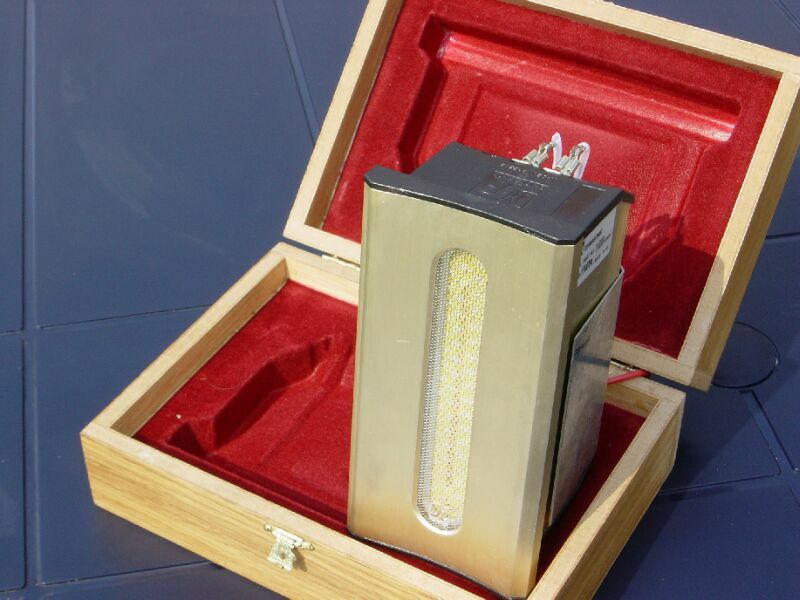 Since then it has been substituted by a new Monacor of similar size. 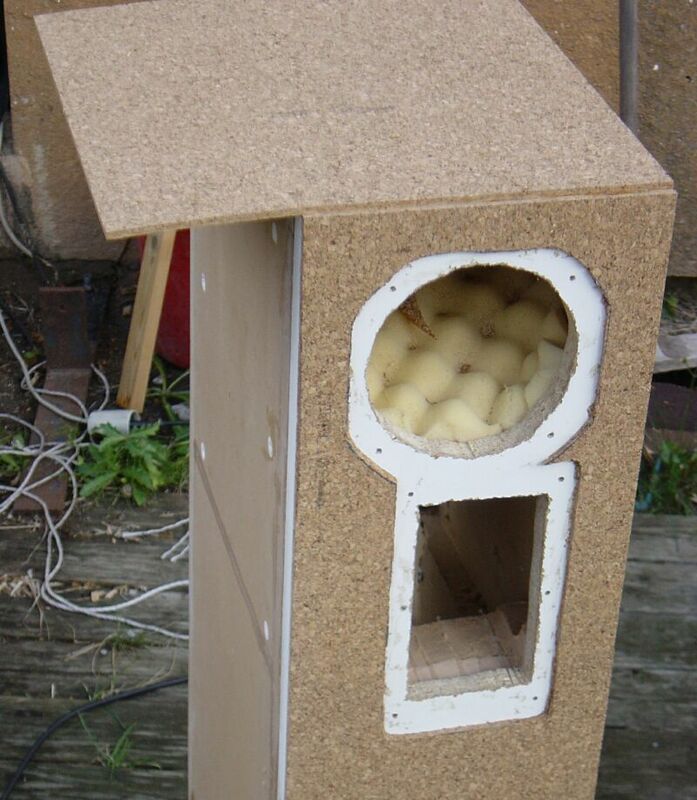 Right now I'am waiting for a 6x9" woofer from TangBan to do the job. A layer of Nappa is glued to the cork to make a nice finish. 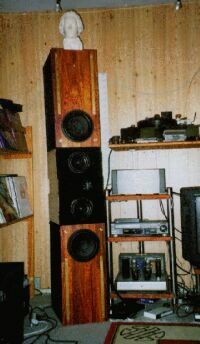 My former speakers - mid 90'ties. A 3-way d'Appolito system. The top and bottow boxes each contains a SS 8555 woofer in a closed 60 liter box (one of these is now used for my center speaker!). The mid section is 3 separate boxes. 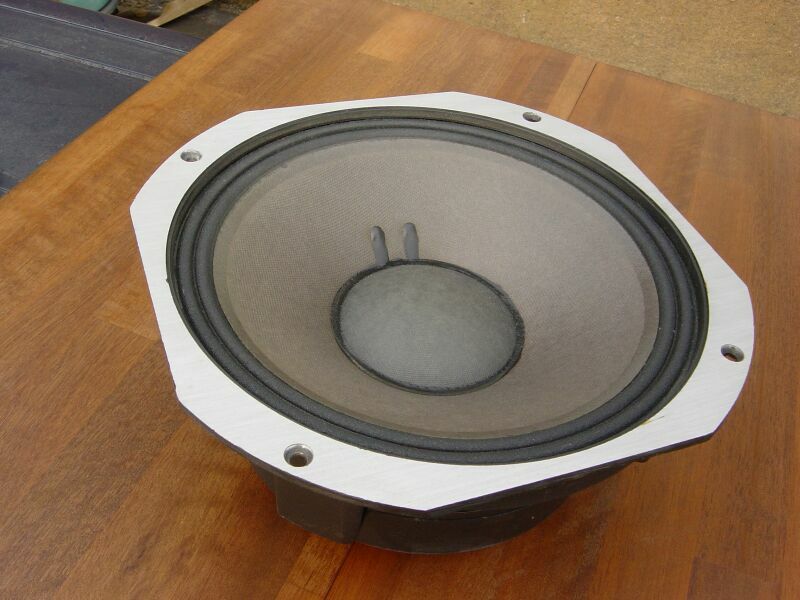 The two containing the SS 8535 Revelator 5" mid/woofer are damped with lead shot and each weighs allmost 20 kgs. Finally the middle section contains the Hiquphon OWII. The system had way too much low end output for my small room.